Coloressence Pearl Liquid Eyeliners on India's online beauty store Nykaa & get discounts and COD. Keep your precious eyes beautiful forever with Coloressence Pearl Liquid Eyeliner. With just single touch get deep color and enhance your look. It is easy to apply and lasts for long. Made from good quality ingredients it is safe to use for long time. You can use it regularly or for occasions to get perfect make-up look. Additional Information : Color Essence is a well-known make-up and beauty brand in India. It is part of Nature?s Essence brand which provides women trendy and affordable beauty products. Coloressence Pearl Liquid Eyeliner is great product to be used for festive time and is available in two shades. Explore the entire range of Eyeliner available on Nykaa. 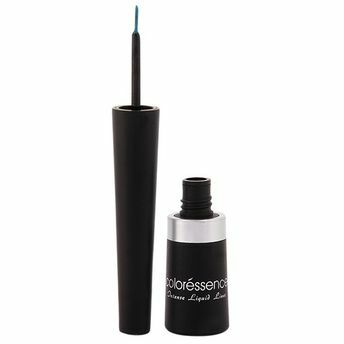 Shop more Coloressence products here.You can browse through the complete world of Coloressence Eyeliner .Alternatively, you can also find many more products from the Coloressence Pearl Liquid Eyeliners range.